Johnny’s BBQ is one of those places in Kansas City I think is a bit underrated- to say theleast. 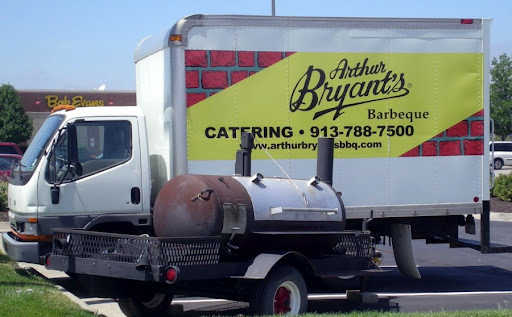 When a person asks the question “so where’s the best BBQ in KC?” usually the answers involve the old stand-bys of KC BBQ such as “Gates” or “Arthur Bryant’s”. Johnny’s usually doesn’t come up until further down the list, but that’s really not how it should as far I’m concerned! Johnny’s is growing fast in popularity these days,somewhat thanks to being featured on Guy Fieri’s “Diners, Drive-ins, and Dives”on Food Network, but mostly because simple word of mouth carries a lot ofweight. Johnny’s is serving up some of the best BBQ in all of Kansas City, and has two locations to serve you. The original one is located at 5959 Broadmoor Street in Mission, KS (east on Johnson Drive from I-35) and the second,newer location is out in western Olathe at 1375 W Highway 56 (just west on oldHwy. 56 from KS Hwy 7). 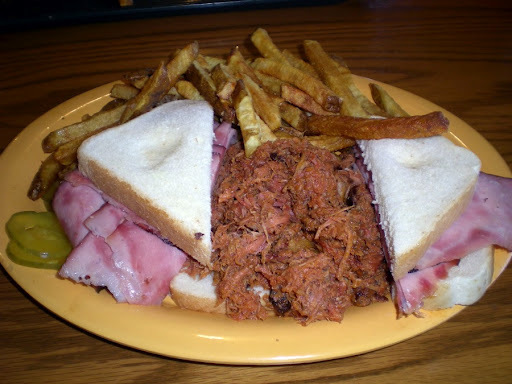 On my most recent trip, I had a 2 meat sandwich with pork sausage and pulled pork with some of Johnny’s ever-popular seasoned fries.There is not much I can say about the quality of the meat in the sandwich, or the quality of their smoked meats in general, except that they rank among the best in all of Kansas City! The pulled pork has lots of “bark” in it, so you really get the smoke flavor, and the meat is as tender as it can be. The sausage is smoky, lean, and juicy, and the ribs are out-of-this-world tender, too! The sides are 2nd to none, and the atmosphere and service are excellent. 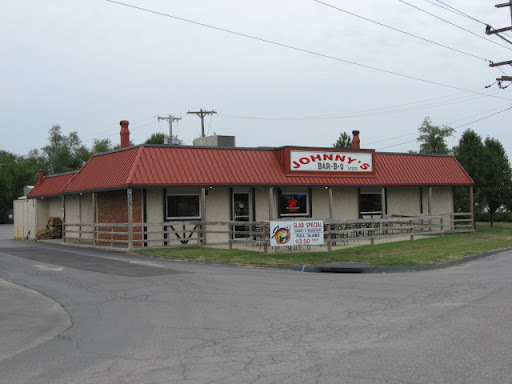 If you really want to experience the upper crust of KC BBQ and don’t want to fight the crowds at some of the bigger name places, but still want a nice, clean place to sit down and have some BBQ, then Johnny’sshould be on your radar any time you are in or around the Johnson County area. On a recent business trip to Kansas City, I found myself unable to pass up the opportunity to visit Arthur Bryant’s BBQ. After all, this place is one of the reasons that Kansas Cityis famous for barbeque. In fact, the Bryant family can trace their barbecue roots back to Henry Perry, the father of KC barbeque. According to barbecue history, Arthur Bryant’s brother Charlie was an employee of Henry Perry. The family then openedtheir own restaurant which Arthur eventually took over. The original headquarters is on the Missouri side of the border but there is a relatively new location on the Kansas side, at the Legends Outlets shopping area in Wyandotte County. I imagine the atmosphere is better at the original location, or at least more of what I would traditionally expect a barbeque restaurant to look like, however, I didn’t go for the atmosphere. Iwent for the famous food. You might see this truck too. At first I thought the price of my ham and pulled pork combo meal plus fries was a bit large, and then the server gave me my amazingly large portions of food and it was worth it. It was certainly more than enough for me,and I’m not little! The fries were plentiful and hot and the ham was acceptable. I’ve noticed a lot of bragging about their vinegar based sauce (sweet tomato based sauces are more the norm around here) so I’ll just be nice and say I must have had some out of a bad batch. I prefer a sweet tomato sauce. 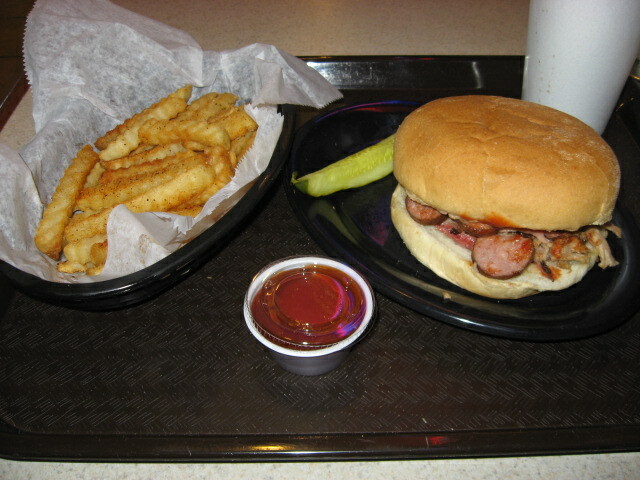 For a good one, you might try Hillsdale Bank Barbecue’s “The Sauce”. 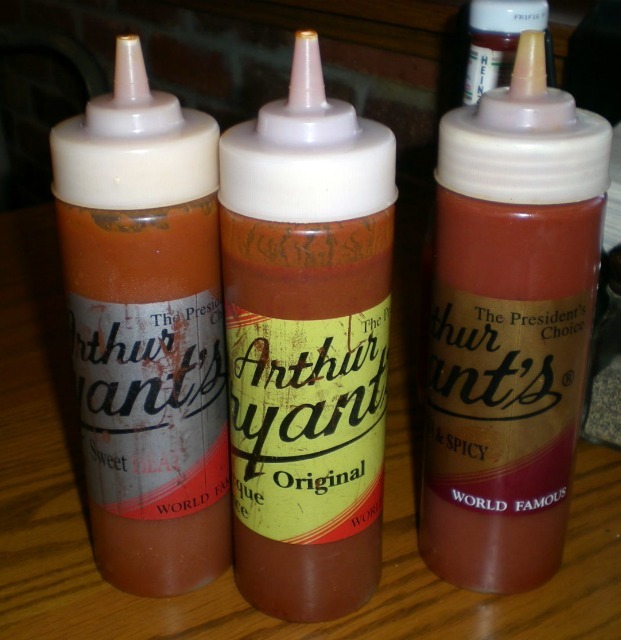 That being said, Arthur Bryant’s also has sweet and spicy varieties that are more like what I would expect to find in Kansas City. Now, let’s talk about the pulled pork. If had to describe this stuff with one word, it would be “wow!” This was some of the best pulled pork I have ever eaten. I shoveled it down as quickly as I could and then found myself wishing for more. 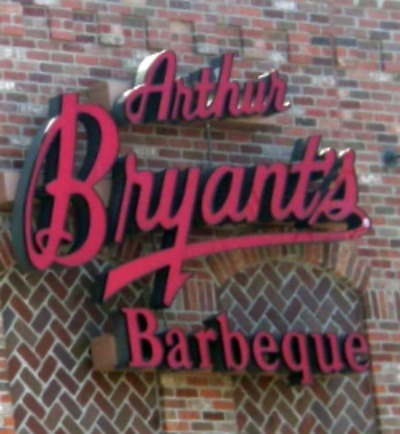 Arthur Bryant’sis certainly one of Kansas City’s most famous eateries and their pulled pork has got to be one of the reasons why! I can’t wait to try the original location and their nearest rival, Gates Bar B-Q, on my next trip to Kansas City!